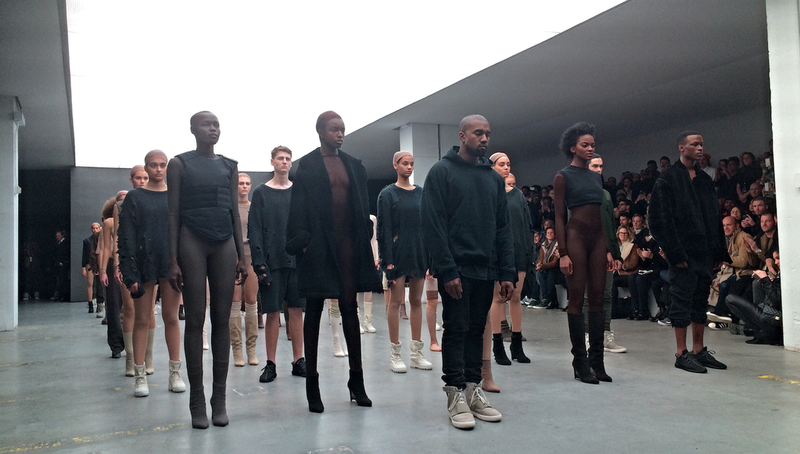 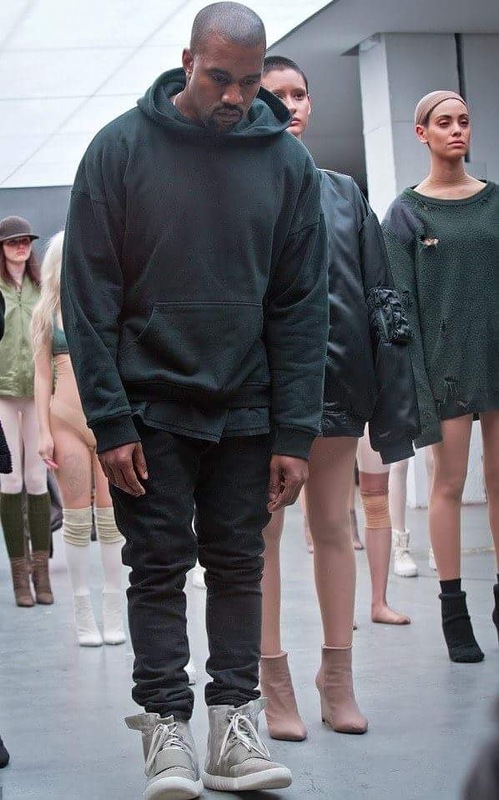 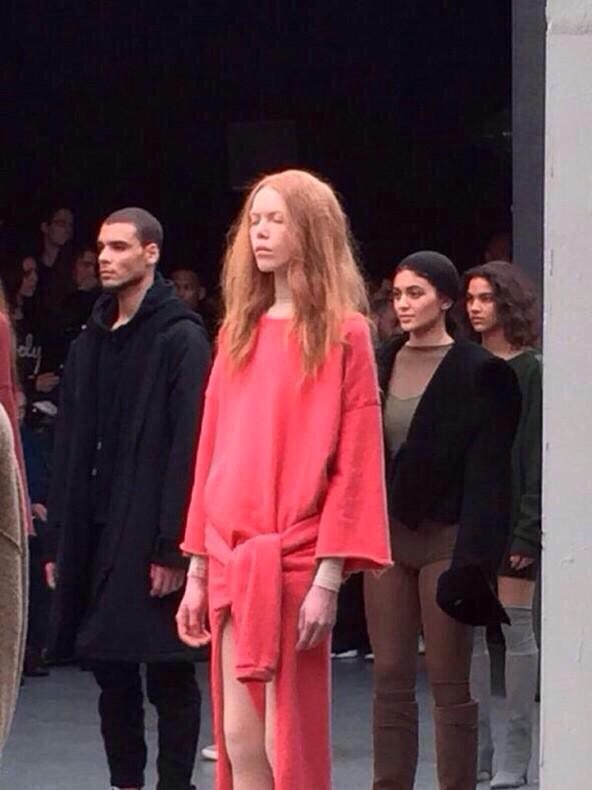 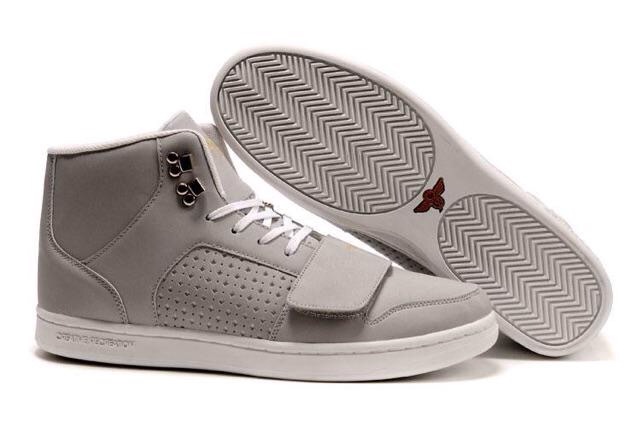 Yesterday saw the arrival of NYFW FW15 which opened with Nicholas K, however the most hotly anticipated show of Day 1 was undoubtedly the collaboration between Kanye West and Adidas Originals, dubbed Kanye West x Adidas. 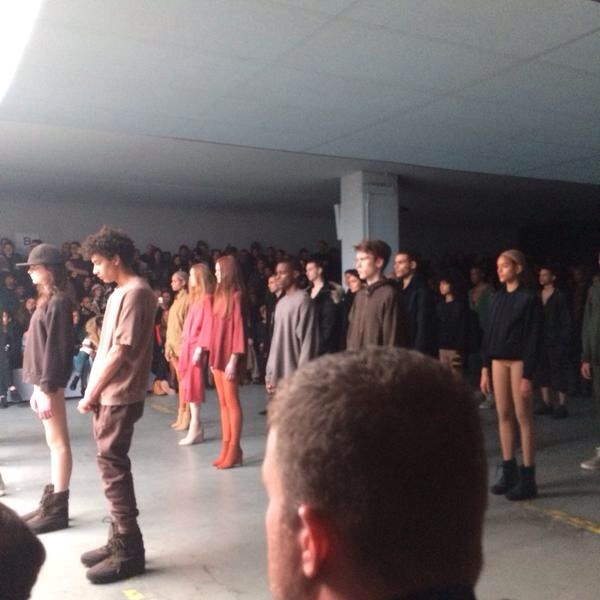 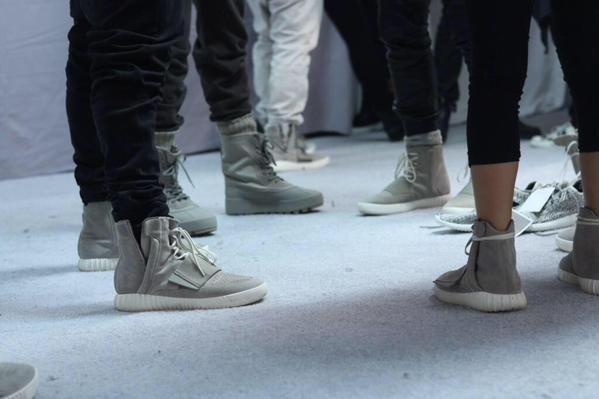 In the days leading up to the show social media was abuzz with the hashtags #YeezySeason and #YEEZYBOOST (the name of the sneaker which heads up the collection) and last night as the performance unfolded those hashtags were sent stratospheric. 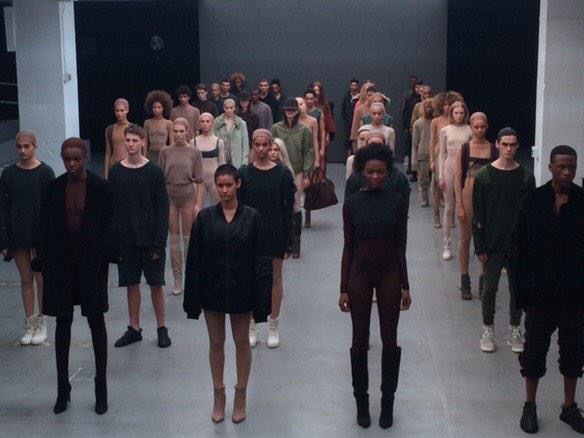 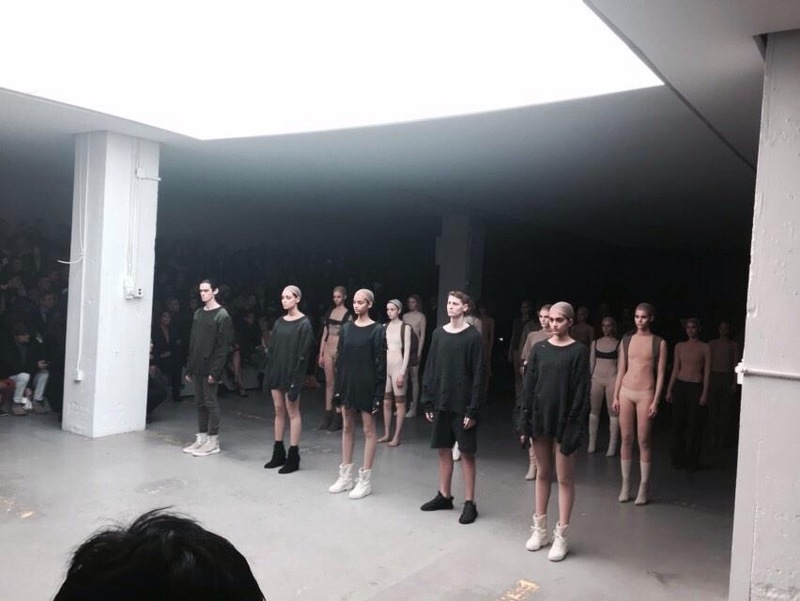 The elite players of the fashion and music scene gathered at Skylight, Clarkson Square last night to watch the show that Kanye labelled a “performance” and set to his newest track “Wolves” featuring Sia. 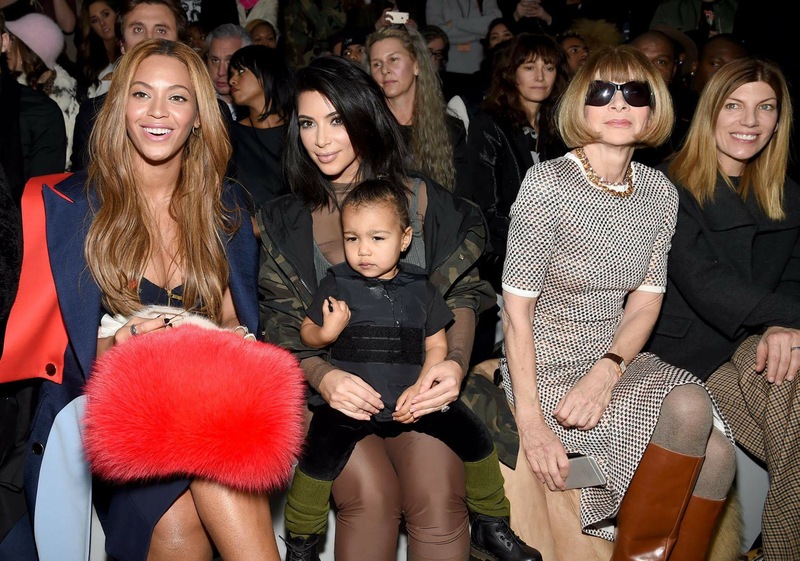 The FROW was an editorial dream with the obvious Klan of in-laws; Kendall, Khloe Kardashian & Kris Jenner. 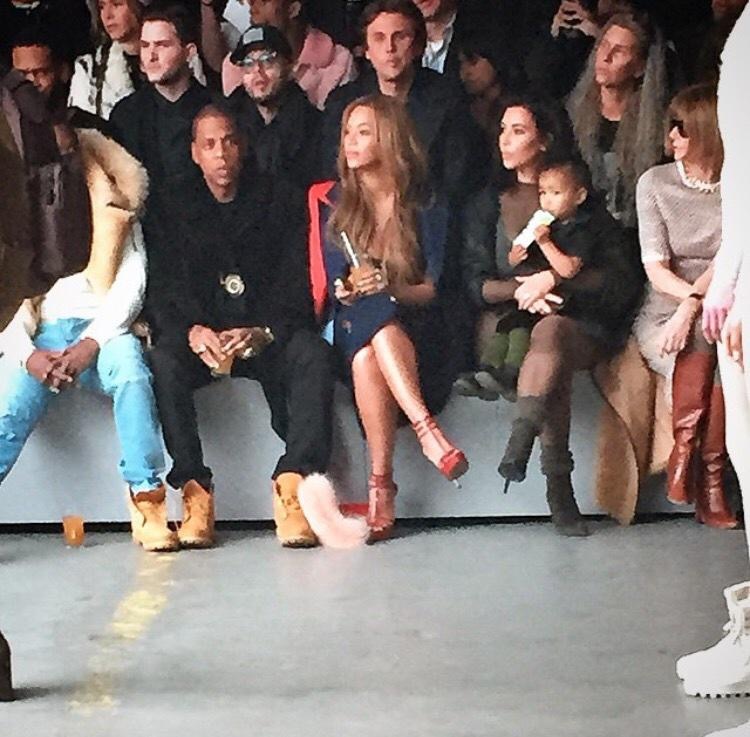 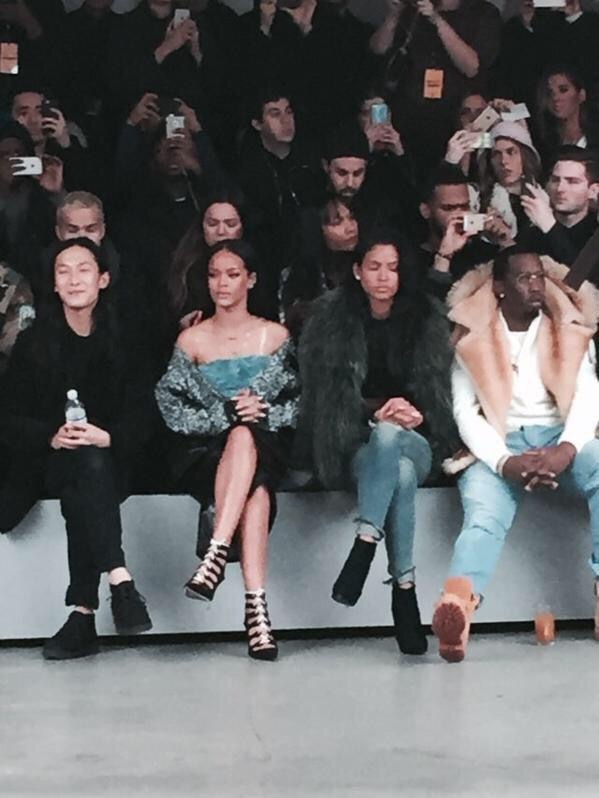 Further along the FROW were Rihanna, Alexander Wang, Cassie, Diddy, Jay Z, Beyonce, Kim Kardashian and North West (natch) and Anna Wintour. 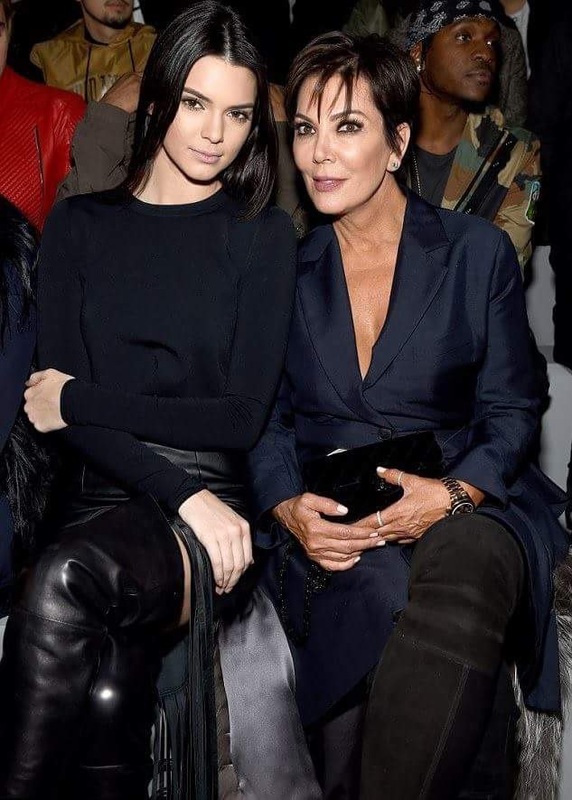 One of the biggest surprises of the night was that Kylie Jenner was absent from the FROW instead modelling as part of the show while supermodel sister Kendall looked on. 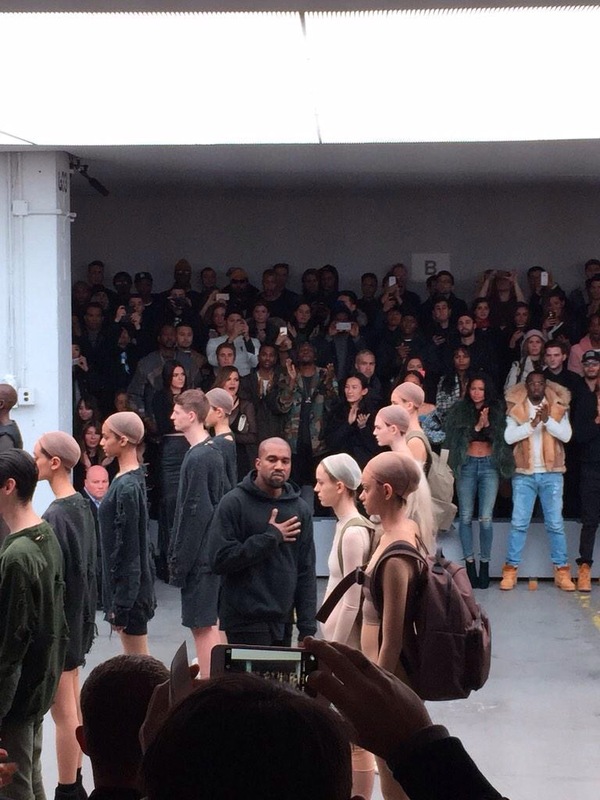 At the end of the show Kanye was given a standing ovation, whatever you might think of Mr West, there’s no denying the influence this guy has had on fashion and his debut collection for Adidas Originals will undoubtedly be a huge success, just check what’s trending on social media this morning, it’s guaranteed that Kanye will be up there.